Gilbane, in Association with Ryan Companies, provided Construction Management at-Risk services for this 16-story 695,000-square-foot court tower. 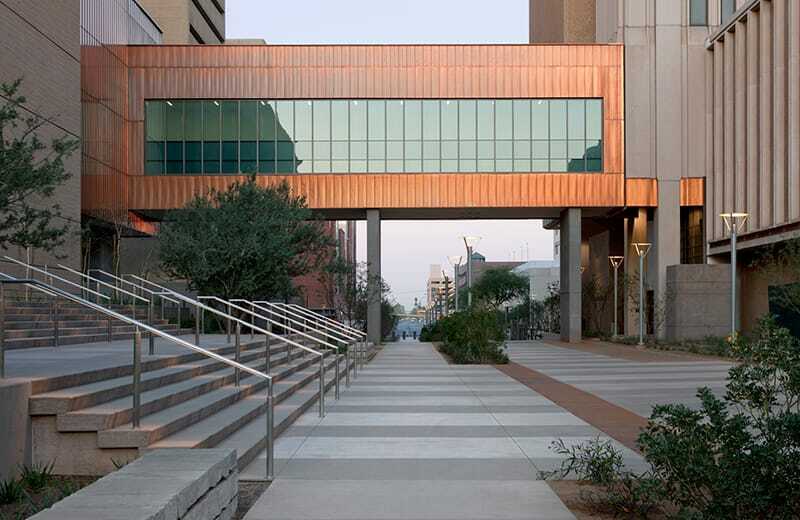 This highly sustainable energy and water efficient building houses 32 courtroom sets and includes central juror assembly for the entire court campus, secure central underground parking for county court judges, central in-custody holding and vehicular sally port for in-custody transfers, underground connection tunnel to the existing tunnel system and pedestrian bridge connecting the new court tower to the existing central court tower, clerk of the court and office support, and judicial chambers. 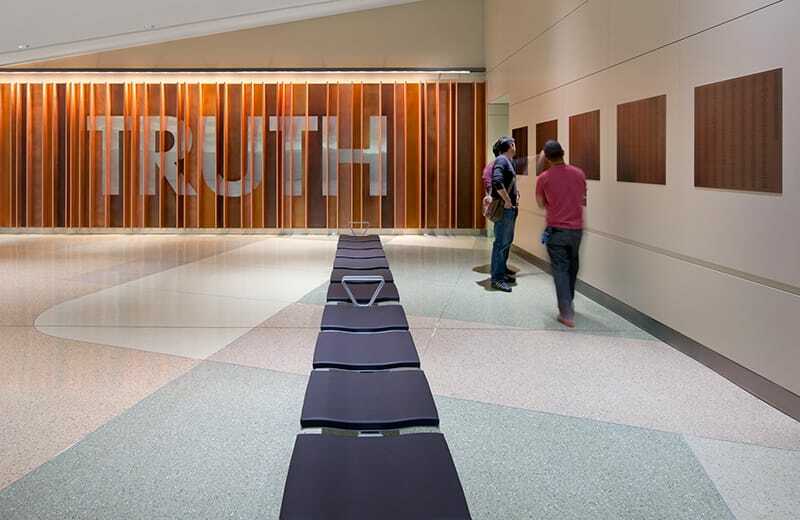 Designed as a 100-year LEED Silver building, the flexibility of courtroom types, juror seating, mechanical systems, technology and A/V and security systems is critical to the success of the project. The court tower includes extensive security features such as a programmable logic controlled system that is fully networked to allow control centers at multiple locations. Proximity card readers as well as the latest fingerprint and iris scanning biometric readers are being utilized with IP base cameras to provide a carefully planned access control scenario. 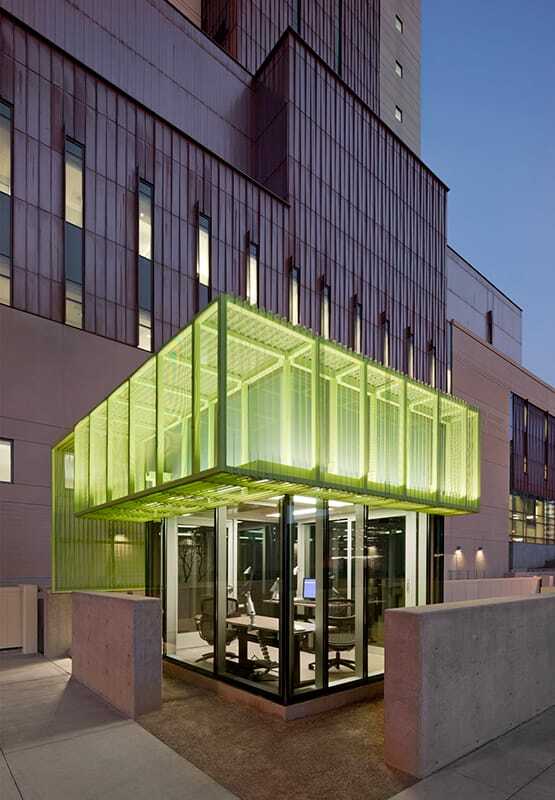 In addition to electronic security there is an in-custody tunnel tied into the existing central campus to allow for safe and secure in-custody transfers. 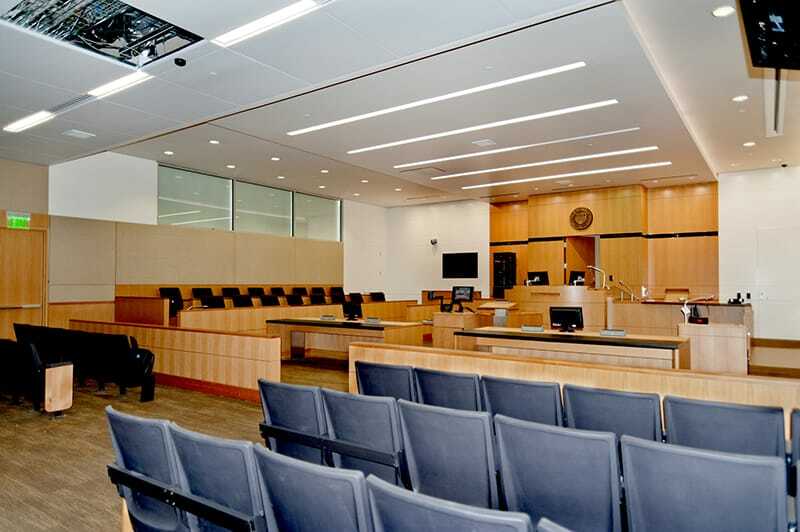 Several court software programs have been integrated with the audio video hardware solutions to provide state of the art public docket displays, juror check in stations, juror notification systems, and juror information systems.